GAIN INSIGHT into the present & future through interpretations of the past. someone who has spent over 30 years on the cultural scene of these two countries. 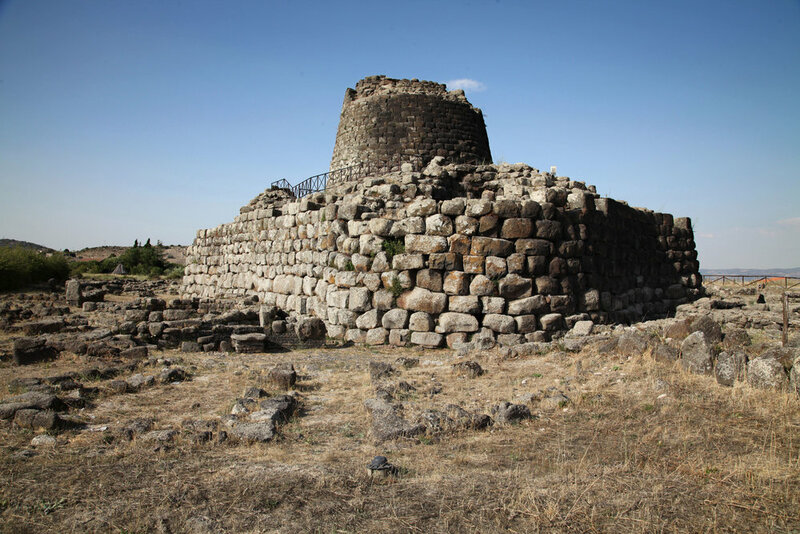 The nuraghe of Santu Antine, in northern Sardinia, showing the conical tower and drystone structure of ancient roughly-worked boulders. My new book, Sardinia: Island of Myths, Giants and Magic, will be published in London in June 2019 by Bloomsbury. Rarely have a land and its people been so intimately related to its nature as Sardinia. Isolated, distant in spirit, its mountains and seas have provided sustenance, legends and magic since the earliest neolithic cultures developed 8,000 years ago. Mountains had thrown up giant stones which were now fashioned into the characteristic circular towers known as nuraghi that still dot the landscape, and also provided the lead, copper, gold, silver and other minerals which generated wealth through mining for at least 5,000 years. Sea and lagoons provided abundant fish, the mountain pastures wool and cheese, the hills wine and olives, the plains wheat; the land was geologically stable, weather in symbiosis with human needs, and no animals threatened the lives of its people; maritime routes brought trade and exchange with the eastern Mediterranean, both in foodstuffs and in art. Yet this magical landscape was fraught with danger. The inhabitants of Sardinia have endured a series of invaders and rulers from Phoenicians, Greeks, Carthaginians, Romans, Vandals, Byzantines, Aragonese, Pisans and Spanish to the Savoyard dukes who turned themselves into kings of Italy by the ruse of first becoming kings of Sardinia. Indigenous Sards were pushed inland by invaders who occupied the coastal areas, seeking personal island refuges in the harsh landscape; until the last century, around Nuoro inhabitants lived beyond the reach of carabinieri in clusters of houses high in the mountains which from a distance resemble vertical islands. If Sardinia is an island, one of its greatest natives the politician and philospher Antonio Gramsci wrote, then every Sardinian is an island within the island. The sensitive and vibrant culture of Sardinia has always been overlooked in favour of its neighbour Sicily: in part because for over a thousand years the island was afflicted by endemic malaria; in part because road networks made Sicily more accessible for centuries. That has changed dramatically in modern times. The provision of free quinine decreased the danger of malaria in the first half of the last century, and a controversial project financed by the Rockefeller Foundation after the Second World War used DDT to eradicate the mosquitos which spread the disease. The later advent of high-speed ferries, low-cost flights, the appeal of luxury beach resorts on the east coast, and the development of advanced telecommunications and Internet services - in which Sardinia has been in the forefront in a conscious attempt to minimize isolation - brought radical improvements in the economy. Yet the profound culture and magic of the island still lie relatively undisturbed by this modernity and the ‘dialects of nature’ thrive, for recent archaeological discoveries and interpretations have brought Sardinia back into the mainstream of ancient Mediterannean culture. The book is not intended to be a guidebook, but both a suggested cultural itinerary and an introduction to some fascinating aspects of the island. It does not mention every place of interest, which may be found in guidebooks and online, or where to sleep and eat - for which booking sites offer everything that is necessary and are regularly updated. The aim is to go a little deeper into lesser known aspects of the island and places and people that are almost never mentioned - especially some of the interesting characters in its history. Above all, it is an attempt to explore and investigate the mythical and magical aspects of Sardinia. Detail of a recently discovered head from the terracotta warrior site near Xi'an, showing painted eyebrows and eyelashes (from the book below). My book on the Terracotta Army of the First Emperor of China, Terracotta Warriors: History, Mystery and the Latest Discoveries, was published in London in February 2018 by Weidenfeld & Nicolson. The paperback was published on 7 February 2019. A USA edition, with a new title and cover, was published by Pegasus Books in August 2018; a Chinese version will be published by Beijing White Horse Time (白马时光) in 2019. The most recently completed documentary film is The City Wall of Xi'an. This wall in its extant form is a late fourteenth century structure built by the Ming dynasty and faced with brick two hundred years later. The film tells the story from four different perspectives: first, it looks at the importance of walls generally in ancient Chinese civilisation; secondly, it traces the physical construction and materials used to build it; thirdly, it considers the wall as a significant aesthetic monument to the Chinese architectural and cultural heritage; and, lastly, as a cultural and political artefact which symbolises this proud and ancient city and its people. The film is 30 minutes in length. 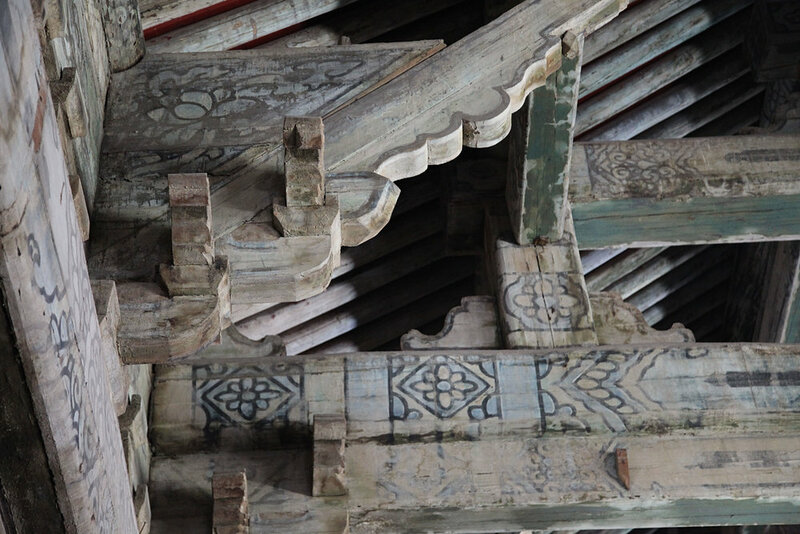 It includes historical footage of the 1926 siege of Xi’an, several clips of the destruction and rebuilding in the 1970s and 1980s, as well as some hitherto unseen features. There are four expert interviews, one by a renowned culture expert, one by an archaeologist who has worked on earlier walls in the city, one by the architect responsible for the new layout of the South Gate, and one by an architect who has drawn on the wall as inspiration for contemporary buildings. In addition, there are four short interviews with enthusiastic visiting tourists who had no previous knowledge of the wall. The musical soundtrack to the film is entirely played by well-known musicians from Xi’an, and some of the pieces were composed in the city. The film was sponsored by the Shaanxi Xi’an City Wall Protection Foundation, of which I am a Trustee.